In our 100-year old Davos Arvenstube you can enjoy the warm atmosphere of a comfortable 'Apéro Bistro', including culinary offerings from our fine kitchen. You will find Bündnerfleisch (specialty dried beef from the Grisons), Salsiz and alp cheeses on the menu along with our famous house specialty "Roasted Poussin" (a special young chicken with herbs). Our unique sun terrace provides a spectacular view over Davos and the Dischma valley. The terrace is not only an inviting place for guests to relax after a 'busy' day, but is also a popular place for locals to enjoy the evening. 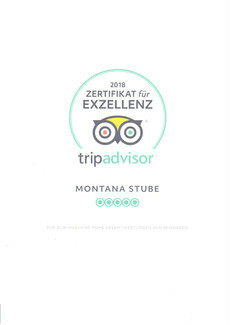 We look forward to your visit and wish you a pleasant stay in Davos. We also speak French and Dutch.